Published 4 years ago. About a 5 minute read. Way back in 2000 when Ben & Jerry’s (B&J) was acquired by Unilever, Ben Cohen and Jerry Greenfield had the presence of mind to require that the acquisition agreement itself include language that would ensure the preservation and growth of the company’s sustainability and social mission programs. To that end, the acquisition agreement also included language that required the development of a set of supporting metrics. After many years of experimenting with alternative approaches, Rob Michalak, Global Director of Social Mission at B&J, believes they may have finally found what they’re looking for: the MultiCapital Scorecard™ (MCS). 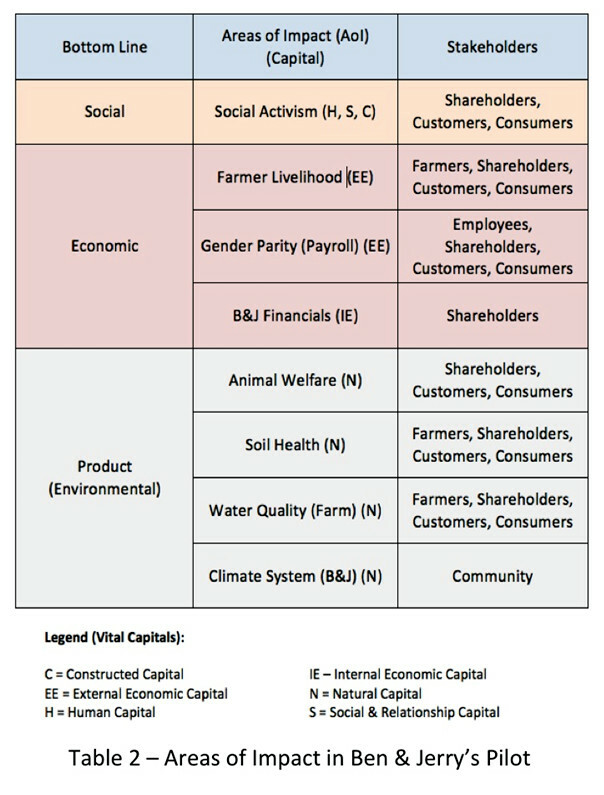 Organization-Specific Metrics — By taking all of the considerations above explicitly into account, the MCS makes it possible for organizations to define sustainability standards of performance that are organization-specific and context-based (i.e., that are reflective of who its stakeholders are, and what its impacts on vital capitals in the world must be in order to be sustainable). Following the workshop, our work continued in order to research, develop and finalize the context-based standards of performance for each AOI. For impacts on the Climate System, for example, the standards of performance consist of emissions reductions over time that are at least consistent with mitigation scenarios taken from the climate science (i.e., for what it will take to reverse climate change). In this case, B&J’s emissions are already well below what the climate science is calling for, and so its sustainability performance on that front is predictably strong. Once context- and capital-based sustainability thresholds have been defined for all of the AOIs identified in the pilot, they will be mapped into an MCS scorecard template, which will then make it possible to quantitatively record and score performance in an integrated fashion. In that way, sustainability performance can be assessed relative to rigorous criteria for 1) each AOI, 2) by bottom line category, and 3) for the company as a whole. Consolidated reporting across multiple operating units is also supported. Beyond the pilot, which is still underway, B&J hopes to add additional AOIs to its scorecard in the future consisting of impacts on Fairtrade Supplier Livelihood, Social Enterprise Impacts and a broad range of Social Activism campaigns. Indeed, the MCS is highly adaptive in the sense that old and new AOIs can be dropped or added to/from from the scorecard on the fly as the circumstances of an organization change. The promise of the MCS at Ben & Jerry’s is that it will make it possible to measure, manage and report the performance of the company relative to thresholds-based sustainability standards of performance and to the company’s own stakeholders and impacts. 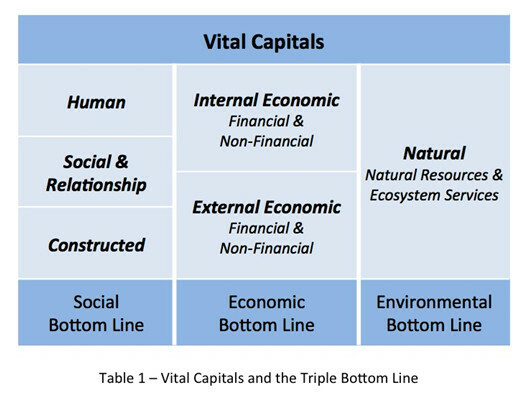 Indeed, unlike any other system for assessing the sustainability performance of a company, the MCS makes it possible to answer the questions all organizations should be asking of themselves: Are we sustainable across all aspects of the Triple Bottom Line? And in cases where not, how big are the gaps and what are we doing about them? Mark W. McElroy, Ph.D. is the founder and Executive Director of the Center for Sustainable Organizations and the original developer of the Context-Based Sustainability method.